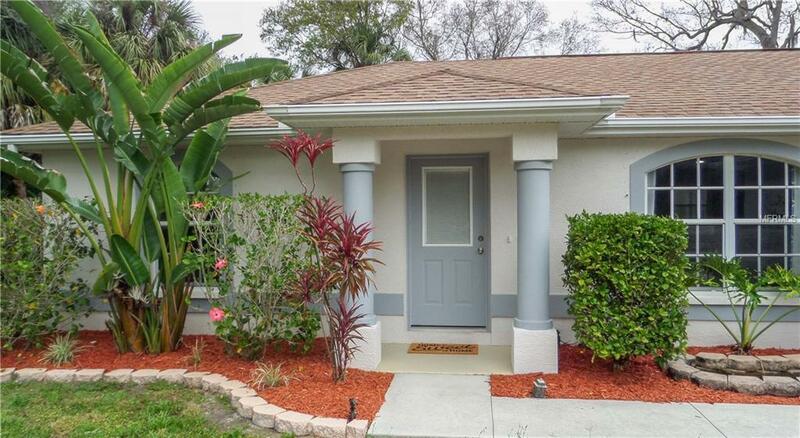 *TAKE A WALK THROUGH YOUR NEW HOME WITH THE 3D INTERACTIVE TOUR* This fantastic North Port home is clean as a whistle & move in ready! Wood laminate flooring throughout the main living areas & bedrooms make cleaning easy & pet friendly. 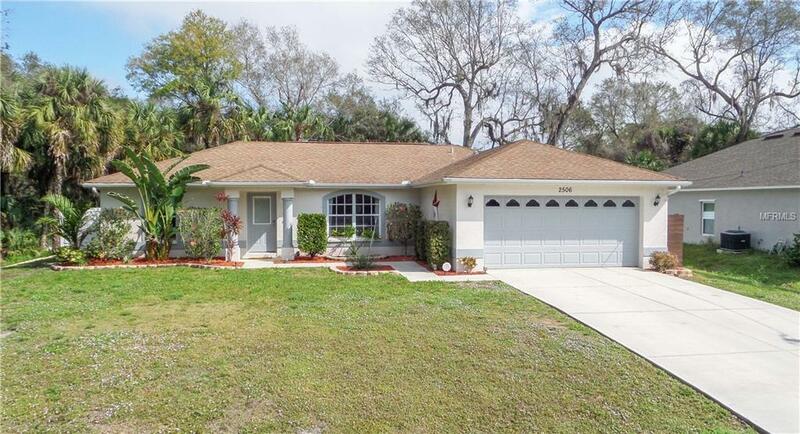 Pull in the driveway and be greeted with lush Florida landscaping and your own fish pond! 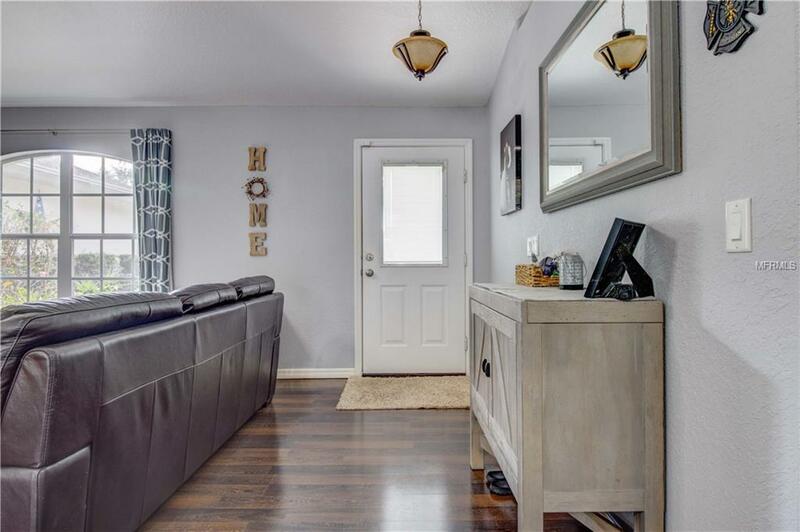 Open the front door & be greeted w/your open concept living/dining room combo w/gray & blue tints painted throughout, high ceilings & windows allowing in all of that natural Florida sunlight. The rustic style kitchen is gorgeous & features subway tile back splash, ship lap accent wall, recessed lighting, SS Appliances, plant shelves, closet pantry & a unique reclaimed wood breakfast bar. The master suite is large w/ceiling fan, walk-in-closet & striped painted accent wall. The master bath has been updated w/roman tiled shower w/bench seat, updated light, mirror & vanity w/a Farmhouse sink! The guest quarters are on the opposite side of the home & feature private closets, ceiling fans & windows, the guest bathroom includes a tub/shower combo, vanity & toilet. French doors lead you out to a Backyard Oasis - the perfect place for entertaining family & friends! The backyard is complete w/a fully Fenced in yard, Private Pool & separate paver area - a great spot for grilling or a firepit! This property is a MUST-SEE! Convenient to the new Coco Plum Shopping Plaza, Schools, Dining, churches and other amenities. This home won't last long - make an appointment to see it today!